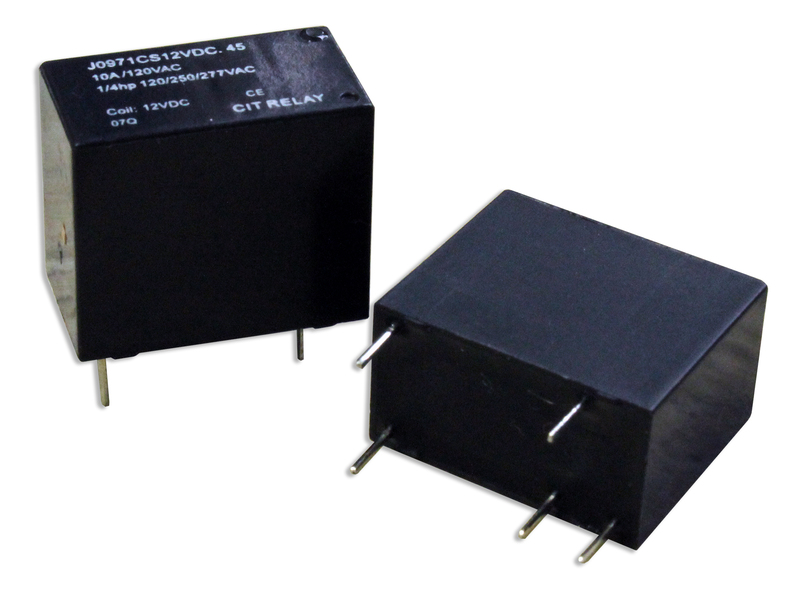 The J097 Series relay offers switching capacity up to 10A in a small and light weight package. Measuring 18.02 x 9.95 x 15.3mm, the J097 Series has 1C contact arrangement with coil voltage options from 3VDC up to 48VDC with coil resistance of .45W. PC pin mounting is standard in this UL approved small relay. UL Agency approval is E197851.